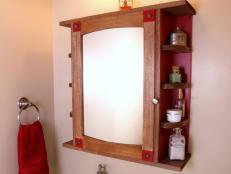 You can make a big change in your bathroom just by swapping out the faucet. 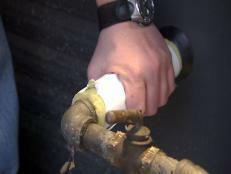 This easy faucet replacement project will take close to one hour and cost between $60 and $160. 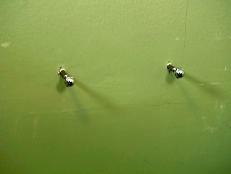 There are three main faucet types available today: single hole, 4” triple hole, and 8” triple hole. In the single-hole faucet, the center control typically not only serves as the spout but the mixing valve as well. In the triple-holes faucets, the center device is usually just the spout with the mixing valves 4” or 8” from the center on each side respectively. Depending on your existing situation, the faucet may be installed to the countertop or the sink, so if you are replacing one or the other, you have the option to change faucet type. If not, purchase a new faucet to match the type you already have. The one exception would be that single-hole faucets can typically be used in a 4” triple-hole sink or countertop if they come with a blank base plate to cover the additional holes. One added benefit of separate mixing valves is that most manufacturers use one valve with many different trims. This will let you change the style in future with less waste and work. 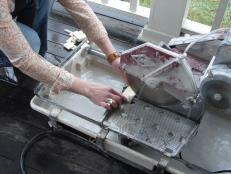 In our case, there was a 4” three-hole faucet installed to an integral sink cultured-marble top. Because we were also replacing the countertop and sink, we decided to go to a widespread 8” triple-hole faucet to match the new larger sink. 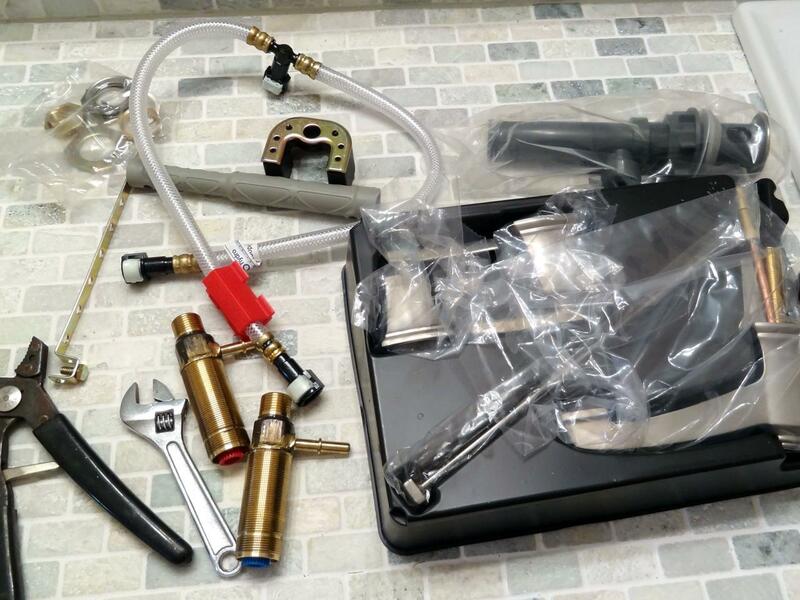 Once you have the new faucet picked out, assemble all the parts you need, and double check so you can complete this at one time and without multiple trips to the hardware store. Be sure to specifically check the fittings on the end of the faucet versus your existing water line extensions. 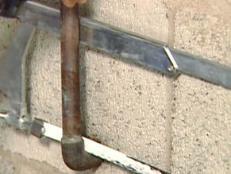 Since it is an opportune time to replace the flexible lines, choose a set with an auto leak shut off. A small valve in the base of the line detects excess water flow and shuts off preventing further damage and flooding. 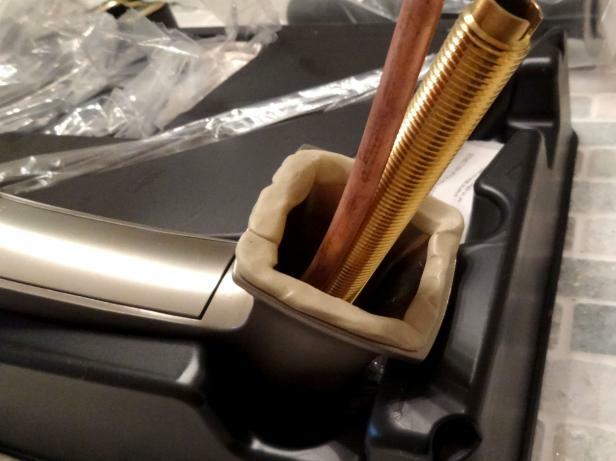 If you are also replacing the sink drain, be sure to specifically check your P-trap setup in case any new o-rings or extensions are needed. 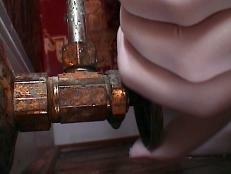 Under the sink, there are typically nuts and washers securing the faucet. 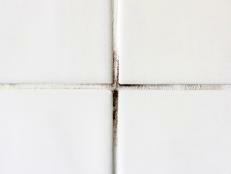 Remove any hardware in this area including the clamp bolt from the drain rod extension. 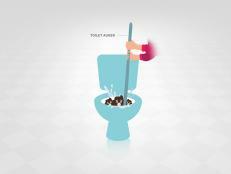 Lift the faucet out from the top. It may need some gentle persuasion from years of corrosion or a sticky base gasket. 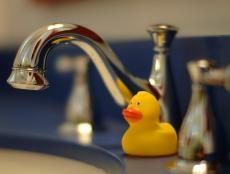 Faucets can vary greatly among manufacturers, so consult your installation manual. The steps seen here will be generally applicable but might need modification for your particular setup. I find it helpful to mock assemble the part first to better visual what you will likely be feeling and not seeing when laying in a dark cabinet. 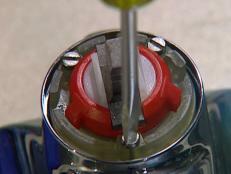 Generally, from the top down there will be the spout, a gasket or plumber's putty, the sink or countertop, a large washer or saddle, and a mounting nut. In this case plumber's putty is called for instead of a gasket. If you've never worked with plumber's putty before, imagine gray modeling clay. 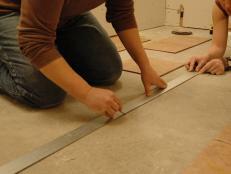 To use, take a small bit in the palm of your hand, and roll it back and forth until you form a 1/4” diameter rope. 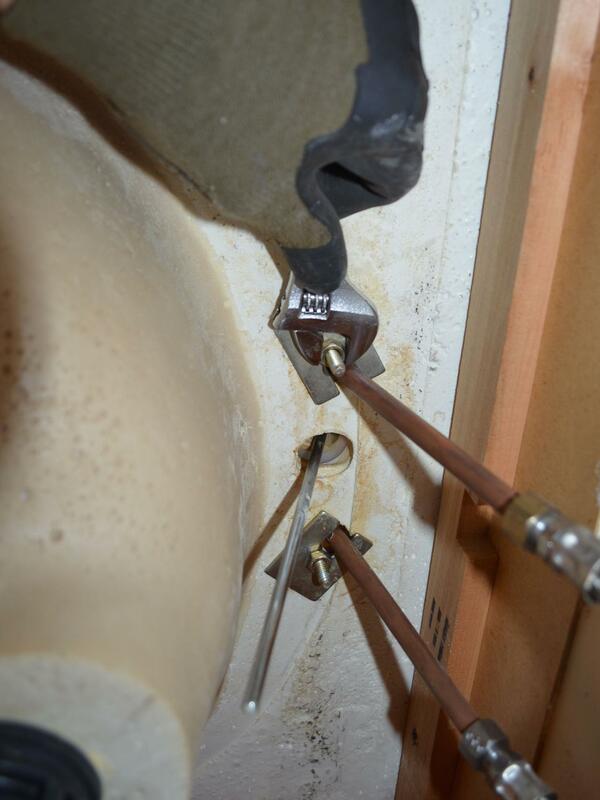 This putty is applied around the new spout base to prevent water splash from running into the cabinet. 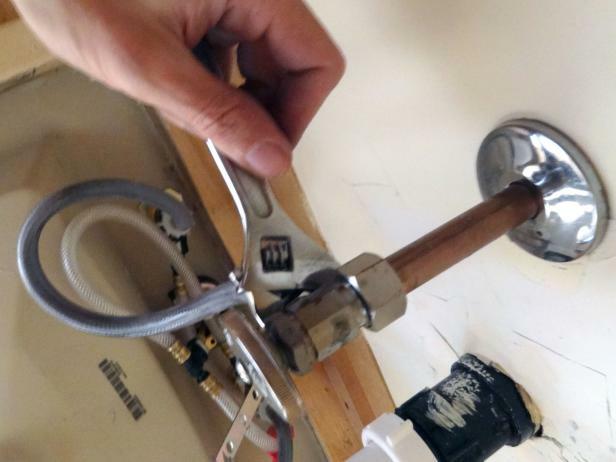 Install the center spout, and tighten the mounting nut from below with an adjustable wrench. 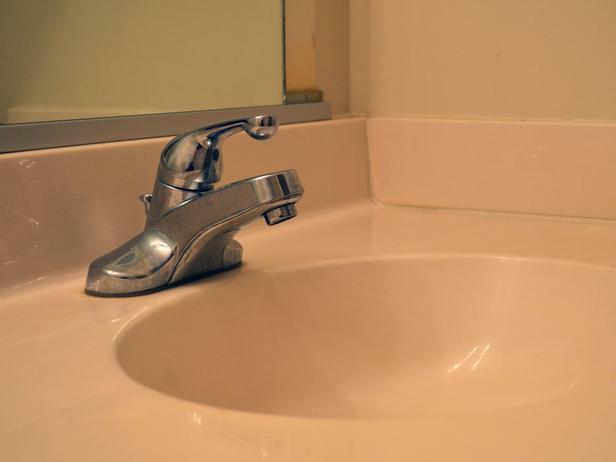 If you are using a single-hole faucet, you will skip the next steps. Assemble the hot and cold mixing valves. 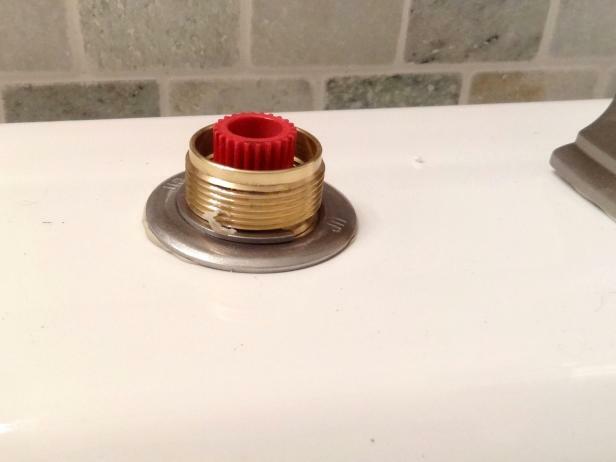 In this case, a large nut and washer tightens the valve from below while a large washer and C-clip holds the valve at the top. Apply plumber's putty to the sculpted bottom side of the top washer. Install the C-clip, and tighten the nut from below. Just as a reminder, the hot and cold valves are left and right respectively. 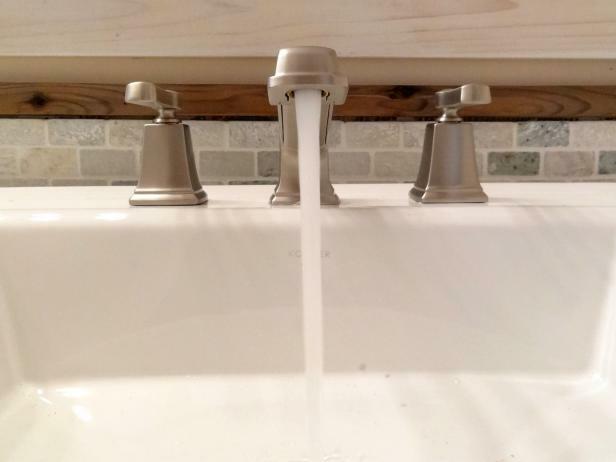 For this faucet, the top trims are installed by threading onto the mixing valve. 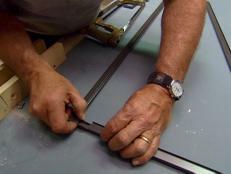 Make sure the handle is oriented parallel to the wall in the OFF position prior to threading the trim. Next, hook up the water lines from below. Luckily, this faucet features easy snap-end fittings. 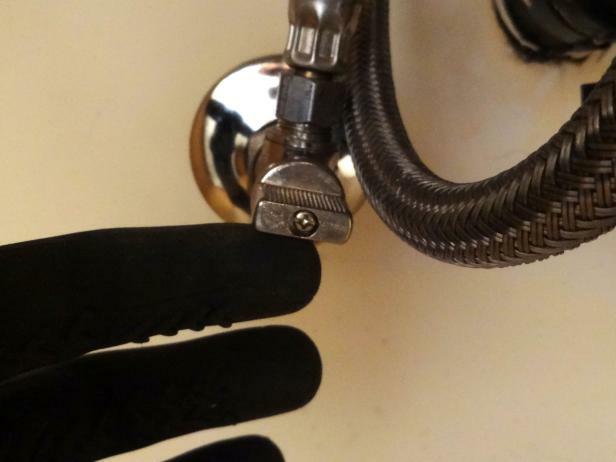 If yours uses threaded NPT fittings, be sure to use plumber's tape on any connections not utilizing a rubber or gasket seal. 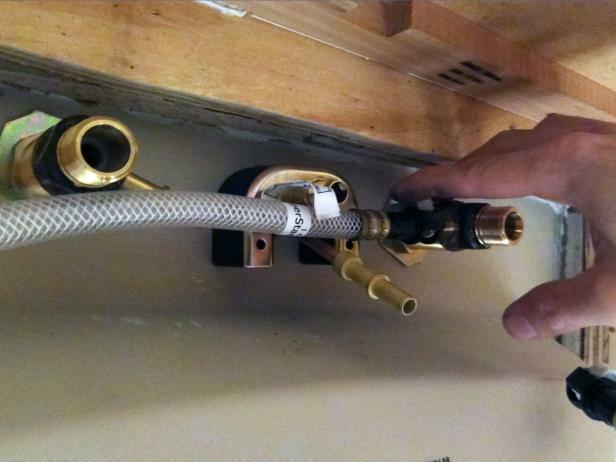 Install the new water line extensions to the shut off and mixing valves. Finally, reinstall the drain rod to the extension, and tighten the clamp bolt. Double check all your fittings, and slowly turn ON the shut off valves one at a time. 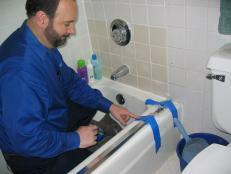 Look for leaks, and if all is well, test and flush the new faucet for two minutes. While faucets tend to last a long time, they don't always age well in the design department. 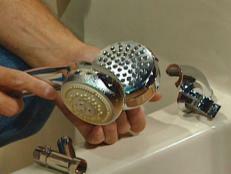 Replacing your bathroom faucets can be a quick and rewarding project. Plus, if you choose ones with separate mixing valves and trims, you can more easily update the faucet in the future with less work and waste.